Bill O'Reilly is going on 'vacation' and may not come back to TV. In light of his recent sexual harassment scandal, Fox News host Bill O'Reilly announced on Tuesday that he'll be taking a vacation. 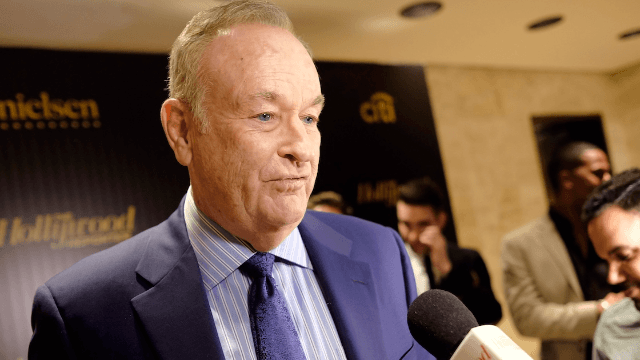 A Fox News spokesperson said that O'Reilly would return to television on April 24, but now reports are surfacing that indicate that may not be the case. Four sources told New York Magazine that there's talk around Fox News that O'Reilly's show Tuesday night may have been his last. It appears that the law firm that 21st Century Fox hired last year to investigate former Fox News chairman and CEO Roger Ailes is now doing a "deep dive" investigation into Bill O'Reilly's behavior. They're specifically focusing on guest Wendy Walsh's claims that she was sexually harassed by O'Reilly, which she reported through the company's anonymous hotline. New York Magazine reports that Fox News co-president Bill Shine is working to keep O'Reilly on the air, but ultimately the decision will be made by the Murdoch family, who run 21st Century Fox and its parent company News Corp.
Two Fox News higher-ups told New York Magazine that 21st Century Fox CEO James Murdoch would like to see Bill O'Reilly taken off the air permanently, while his father Rupert (chariman and CEO of News Corp) and brother Lachlan are leaning towards keeping him around. That same dynamic was present last summer during the Roger Ailes scandal - James wanted to take immediate action while his father Rupert resisted. That ended with James getting his way and Ailes resigning from his post as chairman and CEO. Some Fox staffers are guessing that O'Reilly, who currently has over three dozen advertisers boycotting his show, may have a similar fate in store. Some are even saying the decision could be made before his vacation is even over. "The assumption is that he'll exit in a non-embarrassing way," said one senior Fox News staffer.